If you would like further information or to confirm your sponsorship or participation, please contact the St. Rose Dominican Health Foundation at (702) 616-5762. Premier logo on tournament banner, pull-up banner and two pin flags; customized signage displayed at registration and awards reception, on projection screen, table tents and golf cart placards; promo items in prize bags; two complimentary foursomes. Logo on tournament banner, pull-up banner, table tents, golf cart placards, projection screen and two pin flags; customized signage to be displayed at awards reception; promo items in prize bags; complimentary foursome. Logo on one pin flag and give away item; customized signage to be displayed at awards reception; complimentary foursome. Logo on one pin flag; customized signage to be displayed at awards reception; complimentary foursome. 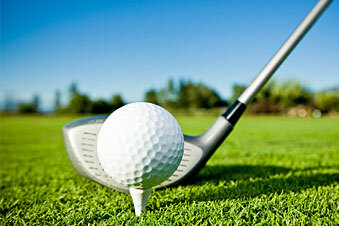 Golf fees/cart, lunch, awards reception, refreshments, prize bags and selected contests. Logo on caddie bibs; premier signage to be displayed on golf club patio and two seats at the awards reception. Logo on one pin flag; premier signage to be displayed at registration and two seats at the awards reception. Logo on one pin flag; premier signage to be displayed at awards reception and two seats at the awards reception. Golf fees/cart, lunch, awards reception, refreshments, prize bags, selected contests.